Spectators enthusiastically cheer on participants of a triathlon. Participants compete in the Gili Strong Triathlon. 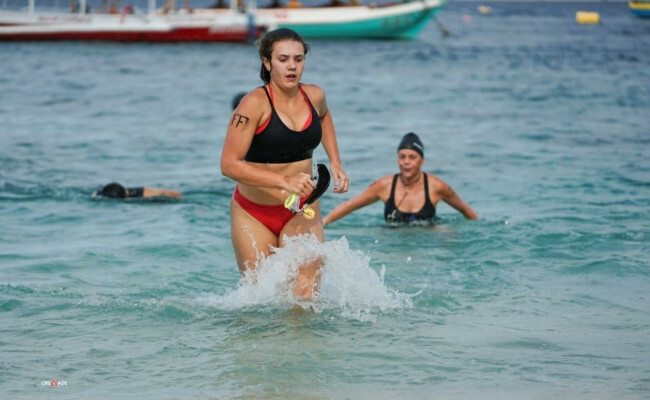 A Gili Strong Triathlon participant runs. Gili Strong Triathlon participants jump into the water to start the swimming part of the race. The event was enlivened with traditional performances. A total of 124 participants, mostly foreign citizens, took part in the Gili Strong Triathlon on Saturday. 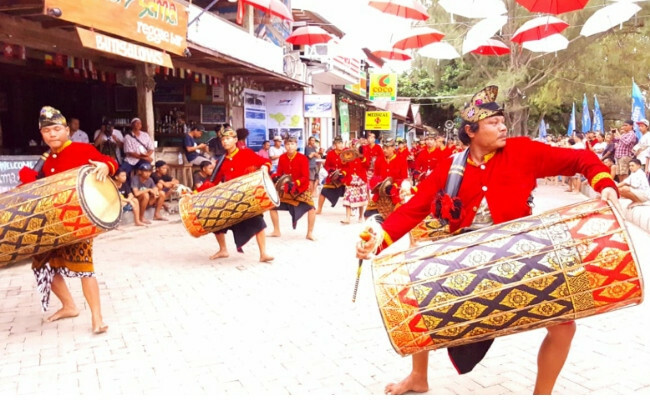 Initiated by the Gili Trawangan Businesspeople Association (APGT), the Gili Hotel Association (GHA) and Gili Eco Trust, the event aimed to increase tourist arrivals and convince the world that tourist attractions in West Nusa Tenggara had recovered, especially those in Gili Trawangan. 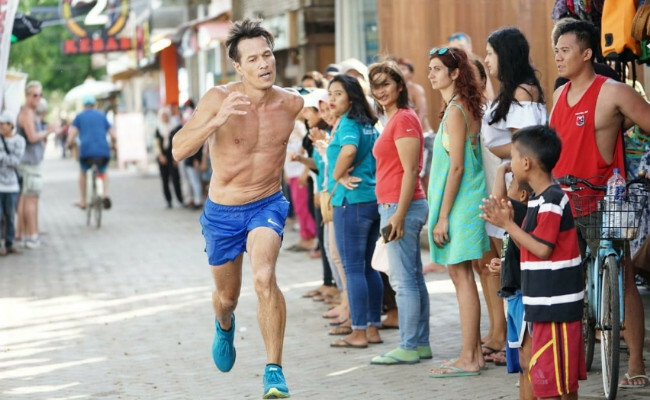 “This event also featured culinary booths and a handicraft exhibition to attract domestic and foreign tourists,” Gili Strong Triathlon committee chairman Acok Zani Bassok told The Jakarta Post. 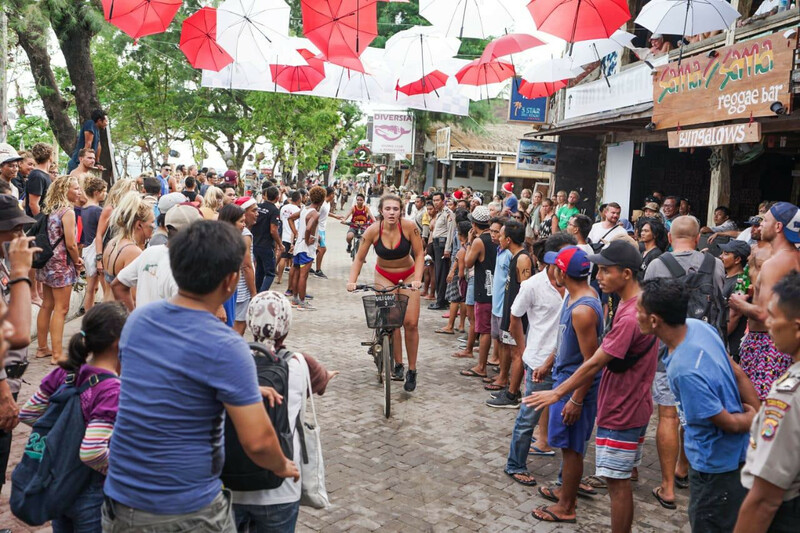 On Saturday afternoon, the main beach of Gili Trawangan was packed with hundreds of tourists and locals who watched the event, which had a 7-kilometer marathon leg, 600-meter swimming leg and 5-kilometer cycling leg. The 124 participants were divided into 34 teams and 30 individuals. A tourist from Yogyakarta, Iva Karina, said she was very happy to spend her holiday on Gili Trawangan to witness the event. “Not only is Gili Trawangan famous for its beautiful beaches and marine tourism potential, it also suitable as sport tourism destination,” she said. Located in the northern waters of Lombok Island, Gili Trawangan is one of the three Gili islands, the other two being Gili Air and Gili Meno. Administratively, the Gilis are part of Gili Indah village in Pemenang district, North Lombok regency, West Nusa Tenggara (NTB). One of North Lombok’s gems, Gili Trawangan, was affected by earthquakes that hit in July and August. Thousands of tourists were evacuated following the disaster, but the island has made a quick recovery thanks to a collaborative effort. involving tourism parties.